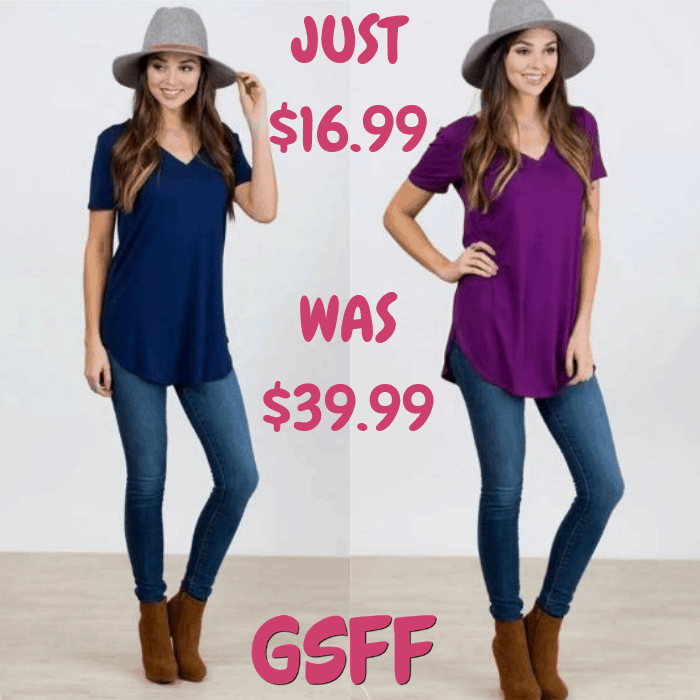 V-Neck Tunic Tee Just $16.99! Down From $40! Shipped! You are here: Home / Great Deals / V-Neck Tunic Tee Just $16.99! Down From $40! Shipped! This deal expires on January 5! At Jane, you can score this V-Neck Tunic Tee for just $16.99 down from $39.99 PLUS FREE shipping! Say goodbye to the rest of your wardrobe, there’s a new tee in town and it’s perfect for everyday life. So comfy and flattering, easy to dress up or dress down, and long enough to be perfectly paired with those fave leggings!